Philippines President Rodrigo Duterte has denied media reports claiming he requested US Special Forces assistance in the battle for Marawi City, saying on Sunday that he “never approached America” for help. “I am not aware of that until they arrived,” Duterte said when discussing the latest developments in Marawi City. Duterte’s comments follow a 14-hour battle Friday that killed 13 Philippines military personnel and left 40 wounded, the heaviest losses sustained so far in operations to retake the city occupied by ISIS-affiliated militants. 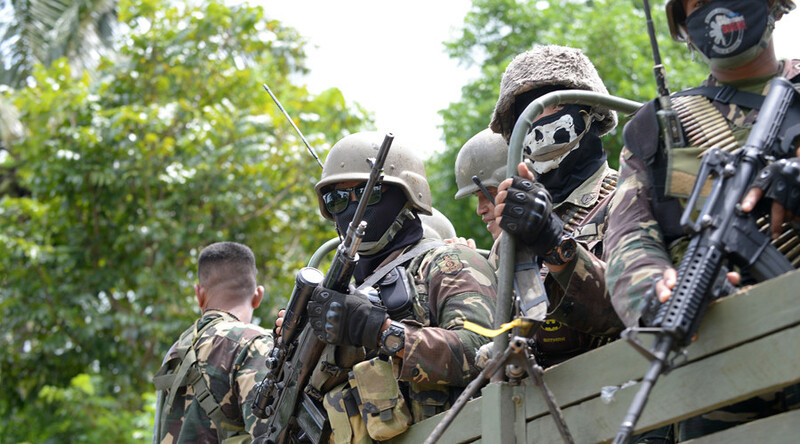 Since May 23 when fighting began, 58 Philippines soldiers have died. If you still cannot see. The freedom we enjoy was never for free. The mother of the mastermind brothers that founded the Islamic State-affiliated Maute group was arrested on Friday by the Philippines National Police. Ominta Romato Maute was arrested in the town of Masiu, Lanao del Sur. Her sons, Omar Romato Maute and Abdullah Romato Maute, are suspected of conspiring with Isnilon Hapilon, leader of the Islamist group Abu Sayyaf, in masterminding the attack on Marawi City. During the arrest, police seized high-powered firearms and multiple improvised explosive devices and rocket-propelled grenades. Local Philippines journalist Chiara Zambrano, who has been closely monitoring the situation on the ground near Marawi City, tweeted police claims that the convoy escorting the Maute mother was fired upon, with several casualties. The brothers’ father, Cayamora Maute, was apprehended Tuesday morning at a military checkpoint in Sirawan, Davao City, ABS-CBN reports.